As the states are proving, Obamacare rules aren't the only way to protect people with pre-existing conditions — just the dumbest way. Democrats are so desperate to torpedo Brett Kavanaugh's appointment to the U.S. Supreme Court that they're resorting to scare tactics, telling Americans that his confirmation would put 130 million people at risk of losing their health insurance. Senate minority leader Chuck Schumer, D-N.Y., says Democrats can sink Kavanaugh by showing how his appointment will lead to a court majority that "repeals ACA with its protections for pre-existing conditions." It's demagoguery. And it's working, as demagoguery too often does. Senator Joe Manchin, D-W.Va., a frequent Trump opponent, is already moaning that the SCOTUS appointment will determine if "West Virginians with pre-existing conditions will lose their health care." Not true. Even if the Supreme Court does strike down the Affordable Care Act someday, the era of insurance companies turning down applicants with health problems is over. Across the country, Republican and Democratic state lawmakers agree on that. They are busy devising smarter ways to protect people with pre-existing conditions and keep insurance affordable, with or without Obamacare. Not one of these plans throws people with health problems under the bus. Democrats' rhetoric about losing coverage for pre-existing conditions is hysteria. Even so, Democratic fearmongers have a shot at derailing Kavanaugh; they only need one Republican defection. With Senator John McCain, R-Ariz., absent due to brain cancer, Republicans have a razor-thin 50-49 Senate majority. A TV ad targeting Senators Susan Collins, R-Maine, and Lisa Murkowski, R-Alaska, claims the GOP has "a plan to install a Supreme Court Justice who will overturn" protections for people with serious health problems and "take us back to a time when insurance companies could deny you coverage." It warns viewers that "130 million Americans" could be dropped. What's the truth? Before Obamacare, fewer than half a million people a year were turned down by insurers because of poor health. Not 130 million. It was a tiny problem that needed fixing. Unfortunately, Obamacare fixed it the wrong way — by requiring insurers to charge healthy people and chronically ill people the same amount. It's extortion. Five percent of the population uses 50 percent of health care. Healthy buyers pay sky-high premiums with huge deductibles and seldom get anything covered when they see a doctor. All their premiums are going to cover the 5 percent. In the first six years of Obamacare, premiums tripled. Actuarial experts point to the misguided pricing scheme. No wonder red and blue states alike are looking for better ways. Alaska, Minnesota, Maryland, Oregon and Wisconsin are reimbursing insurers for their costliest patients using general revenues to bring down premiums for everyone else. You might expect blue states to go that route. But red states are adopting the same fix. 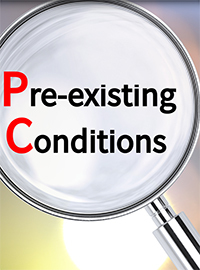 Governor Scott Walker, a conservative Republican, vows to maintain protections for people with pre-existing conditions by reimbursing insurers with public funds to cover the costs of chronically ill Wisconsinites. The state predicts premiums will drop 13 percent in 2019 and another 12 percent in 2020. To get out from under Obamacare's rigid federal regulations, 20 states, including Wisconsin, are challenging Obamacare in court. The states that are suing cite unaffordable premiums and insurers exiting, and say they should be free to devise better remedies. Like Wisconsin is already doing. It's possible that in two or three years, the lawsuit could reach the Supreme Court, where a Justice Kavanaugh would have a vote. Alarmist Democrats are flagging the lawsuit as an attack on protections for people with pre-existing conditions. Nonsense. As the states are proving, Obamacare rules aren't the only way to protect people with pre-existing conditions — just the dumbest way. The states are maneuvering around Obamacare rules to give the healthy lower premiums and still protect the seriously ill. That sure beats scaring the nation with phony numbers and misleading warnings about pre-existing conditions. As for Brett Kavanaugh himself, he has never written one word about covering or not covering pre-existing conditions. To smear him as an enemy of the sick is pure flimflam. Betsy McCaughey is a senior fellow at the London Center for Policy Research and a former lieutenant governor of New York State. Contact her at .